was one of the very first Greek companies to commence supply of high quality aluminium extrusions to the UK market. Following significant investment at our production facilities in Greece and additional infrastructure investments throughout the EU, we have significantly expanded our presence and grown our customer base over the last 20 years. 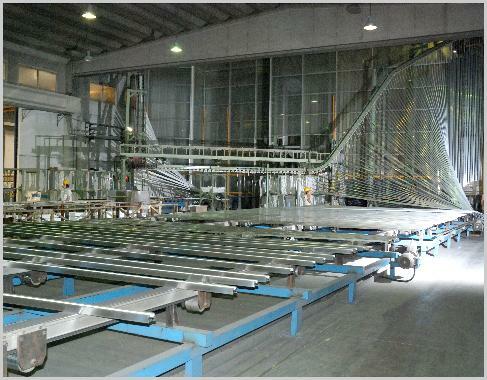 Aluminium extrusions are fabricated in our plant in Greece to industry leading standards. An extensive in-house quality control system headed by a motivated team with many years of technical experience ensures all profiles are produced to the most exacting standards and tolerances. Extrusions are then delivered to customers throughout western Europe. Dimar ensures the highest levels of communication are maintained throughout the supply process, with a full UK support team ensuring any queries are responded to quickly and to your satisfaction. Based in the town of Camberly in Surrey (UK), Dimar can respond quickly to your needs and will dispatch experienced managers to visit your manufacturing site(s) at short notice if required. In addition to the head office functions handled in Surrey, day to day technical queries are handled by our dedicated relationship manager based in the Midlands, ensuring any customer requests are swiftly addressed. Please contact us for further information about our extrusion services. We can provide detailed quotations following receipt of technical die drawings in conjunction with annual usage figures.